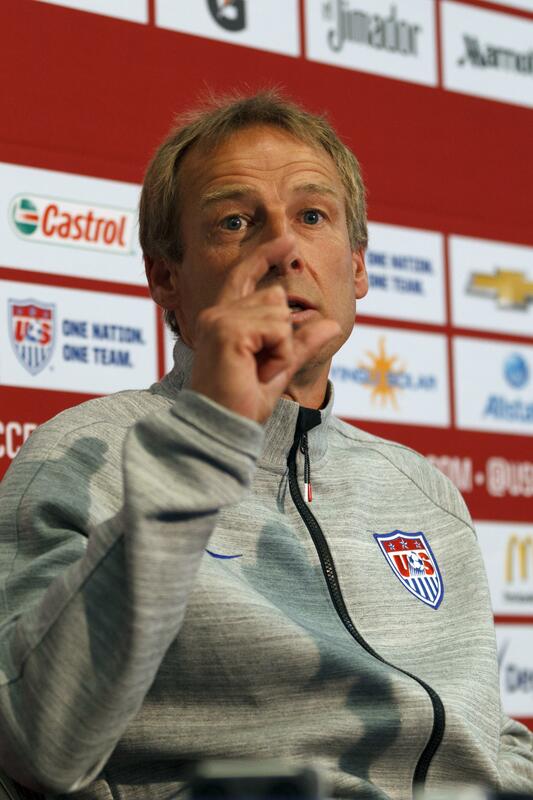 Landon Donovan, Jürgen Klinsmann: Why the U.S. coach never trusted America's greatest player. Landon Donovan will not be doing this in Brazil. In the last several years, Landon Donovan said and did things that were, for a major athlete at the top of his sport, remarkable. In 2012, he talked candidly about the mental strain of a long career in sports and the difficulty of staying motivated. That fall, he said he needed a break from playing, which he had done professionally since signing with a German club in 1999 at age 17. In December, after his team, the Los Angeles Galaxy, won the Major League Soccer championship, Donovan took an indefinite leave from the Galaxy and the U.S. national team, which was about to begin the final round of qualifying for the 2014 World Cup. During his hiatus, he told a journalism class he was “exhausted from the weight of the last 15 years … really the past 28 years.” He entered therapy and meditated. He played pickup soccer in Cambodia. He spent time with his family. After four months, Donovan returned to his team “excited and committed,” and certain that he had done the right thing for his physical and emotional well-being. One man who couldn’t relate was Jürgen Klinsmann. On Thursday, the U.S. national team coach omitted Donovan from the 23-man squad that will travel to Brazil for next month’s World Cup. The decision to bypass the player who has scored more international goals than any American man, including the most celebrated tally ever, is the biggest and most polarizing in U.S. soccer history (sorry, John Harkes). On Friday, at the team’s training camp at Stanford University, Klinsmann said that other players were “just a little step ahead of Landon in certain areas.” He wasn’t asked about, and didn’t mention, Donovan’s sabbatical or the cumulative effect of Donovan’s candid observations about the toll of the game. But whatever Donovan’s on-field deficiencies may be compared with his peak, this roster move likely isn’t about “a little step”—some small physical distinction between him and other players. Rather, it’s about a big gulf in thinking. Donovan seems like a no-regrets sort of guy, and I’m going to assume he stands by his decision to take a restorative break from soccer. He didn’t shy away from the possibility that his decision would have professional repercussions, including not playing in a fourth World Cup. But in retrospect, it seems clear that this was a move his coach could never understand. When he was hired in 2011, Klinsmann talked about overhauling the style of play and the culture of soccer in the United States. But as with his seeming unwillingness to understand, or accept, Donovan, Klinsmann can sound condescending toward America’s best players, as he did when questioning the decisions of stars Michael Bradley and Clint Dempsey to return to the United States from Italy and England respectively. This is of a piece with his patronizing attitude toward American soccer players and American soccer culture generally. By that logic, players like Bradley, Dempsey, and Donovan aren’t “hungry.” Donovan in particular has faced that stigma for years. To his detractors, Donovan’s candor reveals some internal weakness. It’s a charge that has followed him since early in his career, when he left Germany as a homesick teen, chose to settle in the less-challenging MLS, and was mocked as “Landycakes” for his perceived softness on the field. Those criticisms mostly evaporated after Donovan potted the heroic last-seconds goal against Algeria that lifted the United States to the second round of the 2010 World Cup. But his choice to take time off revived the old notion that Donovan didn’t care while also reinforcing the common misconception, in sports, that taking care of others (coaches, team, country) is more important than taking care of yourself. Landon Donovan missed the team by this much. Without Donovan the U.S. doesn’t stand much of a chance in Brazil. And to be fair, they wouldn’t have had much of a chance with him on the field either. Given the national team’s status as a not-quite-contender, it’s possible that cutting Donovan is a move designed to bolster the team for the future, and to make it very clear that this is Klinsmann’s team now. On the website World Soccer Talk, Matt Lichtenstadter drew a parallel between Klinsmann’s roster choices now and in 2006, when he coached host Germany to the World Cup semifinals. Klinsmann overhauled both teams, keeping just 10 Germans from the previous World Cup and just six Americans from the 2010 U.S. squad. In Germany, Klinsmann passed over several veterans in favor of three 21-year-olds—forward Lukas Podolski, midfielder Bastian Schweinsteiger, and defender Per Mertesacker—plus a 22-year-old, David Odonkor, who had played just once for the national team. Now, Klinsmann passed over several American veterans in favor of 21-year-old defender John Brooks; 20-year-old defender DeAndre Yedlin, and forward Julian Green, who turns 19 in two weeks and has played once for the United States. Despite this infusion of youth, Lichtenstadter noted that the German team averaged 32 international appearances and the U.S. team averages 33. But the parallels end there. Brooks, Yedlin, and Green have six caps among them. The Germans had 76. Just before the 2006 World Cup, Podolski was acquired by Bayern Munich. Schweinsteiger had already been playing for Bayern for four seasons, and Mertesacker would transfer after the tournament to Werder Bremen of the Bundesliga for a fee of 5 million euros. (Another youngster on that team was 22-year-old defender Philipp Lahm, also of Bayern, who had just 18 caps. Lahm played every minute of every game.) The Americans’ résumés aren’t as impressive. The German-American Green plays for Bayern’s reserve team in the German fourth division. Brooks, another German-American, appeared in just 14 of 34 games this season for Hertha Berlin in the Bundesliga. Yedlin is in his second season as a starter for the Seattle Sounders of Major League Soccer after two years at the University of Akron. Germany can pass over some veterans because the other veterans are all world-class players, and because the younger players are proven rather than promising. The United States doesn’t have that luxury. In that context, the repudiation of Landon Donovan seems more personal than it does strategic. No matter how much or how little he played, Donovan wouldn’t have been a distraction in Brazil. Instead, Klinsmann has created controversy out of thin air, and risked alienating American fans in the process. The coach said that the best player in American soccer history didn’t make the squad because of a “little step.” It seems more likely that Donovan was omitted for another reason: the coach’s big ego.